At New Hope Family Worship Center, we encourage every woman to be a part of women’s ministry because we believe that as Women of Excellence, we are placed in the body of Christ for a specific reason. We have an assignment that we must accomplish. We have been empowered by God to Declare His Power and Glory to all generations. We are godly women, bold and empowered by Christ to do exploits. We are women that are Spirit filled, consistent, persistent and focused. We are women that will stand in the gap and pray until something happens. We are women that are destined to fulfill our God given purpose in life. 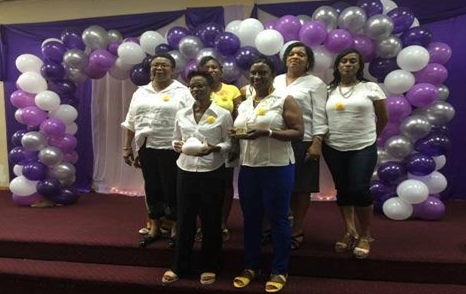 We are women of distinction and excellence in Christ. We are women that will not rest until souls are saved. Our Women’s Ministry meets on the 3rd Saturday of every month at 3 pm. Come join us and you will be blessed!